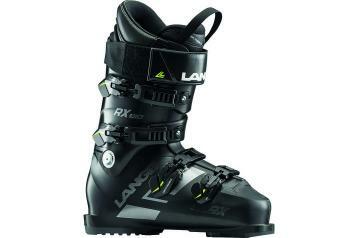 The 2018/2019 Lange RX 130 was tested in the All-Mountain men's medium width category at Silver Mountain Resort by the experts at America's Best Bootfitters, powered by Masterfit. 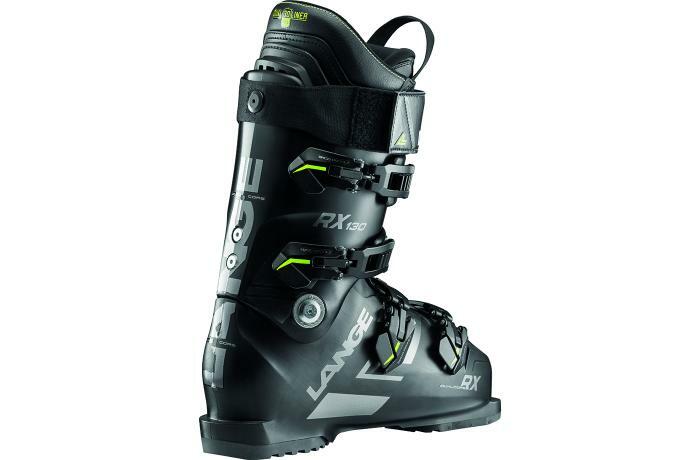 The 2019 Lange RX 130 returned unchanged (except for a badass, new stealthy look) to not only top the leader board for the All-Mountain medium width group, but to take top honors in the entire All-Mountain category for men. What makes it so great? Well, last year, testers simply said Lange took one of the best boots out there and made it better, and this year it's no different—the shell shape, Dual Core construction and revised liner simply further elevate the fit and performance game of a perennial favorite. The RX remains a little bit roomier than in the past, by design, as Lange wanted to more clearly delineate the difference between the RX LV narrow class gripper and this middle-of-the-roadster-ripper. In the past the medium RX got called out for riding the fence between medium and narrow. This year testers again noticed the difference, and most loved the extra room. Not that this is a fluffy fit—the well-sculpted 3-D liner is firm and well-matched to the interior of the shell, so the grip on the foot is there, especially in the heel and ankle, but now the shape is opened up for average feet and legs. If this feels too roomy upon initial try-on, then the decision is clear—narrow RX LV for you. The flex-feel is firm on the leg (legit 130) but with a new-found elastic quality. In fact, testers made many comments of the boot's snappy, energetic feel underfoot. "There is something about this new plastic that behaves very well on snow…" one tester pondered. And there is. Last year Lange debuted a new type of plastic injection molding in the RX and RS boots that sandwiches a less-dense plastic in between higher density plastic within the shell wall itself, throughout both the lower and upper. This differential density creates an energetic internal tension of sorts and gives the boot a new, lively feel that testers loved. 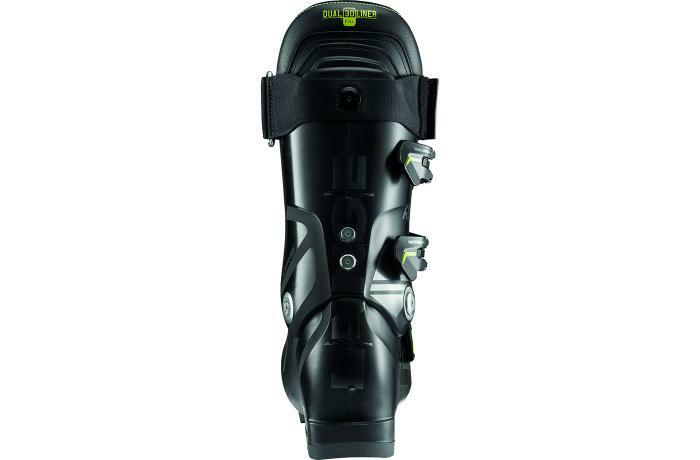 All this snappiness has not come at the cost of power or stability, said testers who assure this is not a jittery boot. Steep edge angles, high speeds and all manner of snow conditions were where the RX 130 shone. The new RX 130 remains essentially the same basic four-buckle overlap it always has—no new frills, bells or whistles here. The Velcro power strap is a nice wide 50 mm. There's a single-side upper cuff adjustment that uses an old-school 3 mm Allen key. 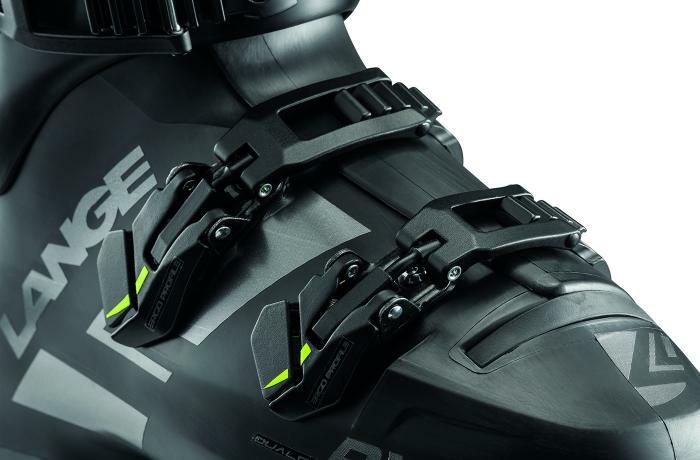 The Max Grip soles are grippy, hence the name, but not so soft as to wear out or fail to transmit energy to the ski. You can upgrade to GripWalk soles for a few bucks and use them with a GripWalk compatible binding.